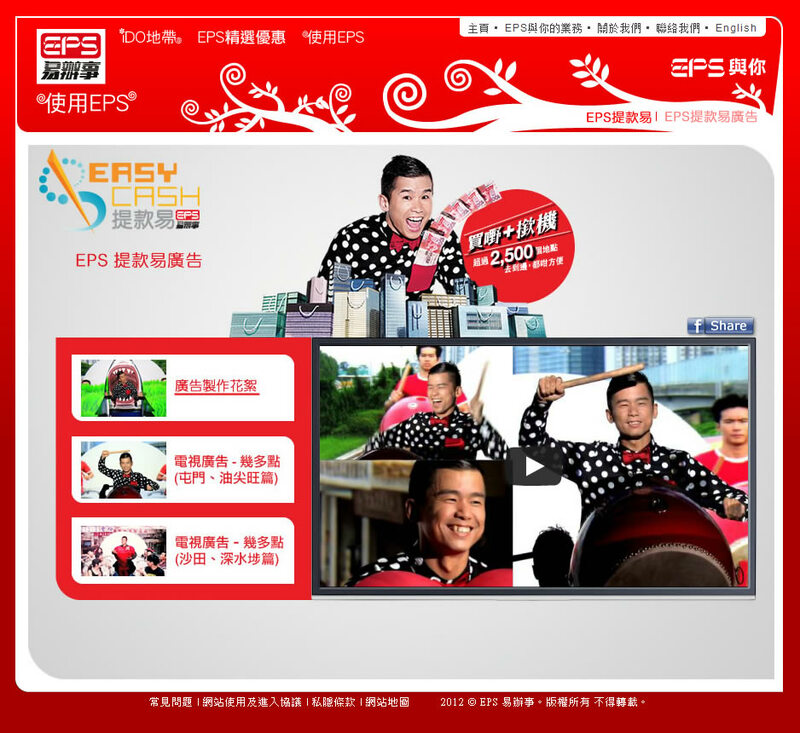 EPS's new EasyCash campaign created an highly popular tv commercial with celebrity Jan Lam. To help extend the campaign to mobile users, we developed a QR-code initiated mobile site to let the fans to watch the making-of videos. 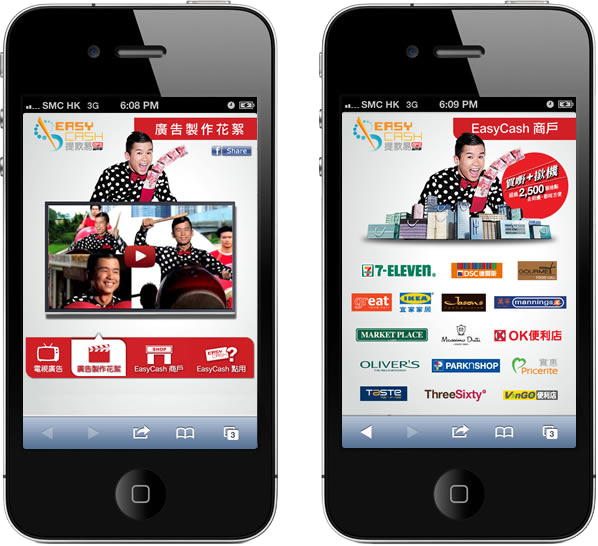 A touch friendly step-by-step EasyCash guideline is embedded as well.